Good News! All buildings in South Africa are set to become 100% smoke-free and smoking is to be prohibited in some outdoor areas, if draft regulations published on March 30th 2012, by the Minister of Health, become law. This is great news for the health of nonsmokers and smokers alike. The regulations follow years of calls from the public for smoke-free public places and relentless efforts by tobacco companies and some businesses to maintain indoor smoking. The right to breathe is now set to trump the right to pollute the air. We applaud the leadership of Health Minister, Dr Aaron Motsoaledi. Now it is our turn to act! We have to ensure that the regulations become law and are not weakened or delayed. The Government has invited public comment on the regulations by 29th June, 2012. Write to congratulate the Health Ministry on the new regulations. Let them know you are looking forward to working, shopping, eating al fresco, attending sports fixtures, taking children to playgrounds, or standing in a queue without being forced to breathe secondhand smoke. Thank you for your support in (finally!) making 100% smoke-free public places a reality (we are almost there). It completely prohibits smoking indoors. Beaches within 50 meters of a demarcated swimming area. 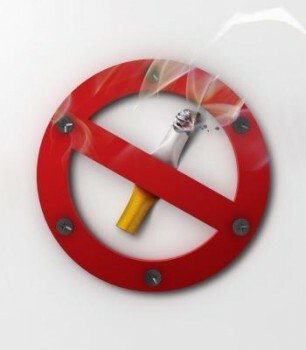 It does not allow smoking within 5 to 10 meters of entrances, doorways, windows and ventilation inlets. It allows demarcated smoking areas only outdoors under specific conditions. It places obligations on any person in control of a public place, and on employers to protect staff.